On Sunday, March 31, 2019, William K. Sandy, Sr., loving husband, father, and grandfather, left his earthly home. He spent his last days surrounded by family and friends. He was a native of Lawrence County, Tennessee and was born on Sunday, December 2, 1934, to the late Troy L. Sandy and the late Clara Eunice Sandy. He was also preceded in death by his sister, Josephine Russell; brother, Floyd R. Sandy; and grandson, Richard (Bo) Hutson, Jr.
With only a sixth grade education Mr. Sandy was a successful and admired business man. His career started in Memphis where he parked cars for Allright Parking. He married his wife Carroll, on September 18, 1953. He was transferred to Nashville where he and Carroll raised two children, Teresa and Bill. In Nashville Kenneth ran his own parking business and became a real estate investor. He returned to Lawrence County in the 1990s when he retired from the parking business. Kenneth was a member of Baugus Church of God, an avid fisherman, and enjoyed working his personal sawmill. He was a member of the Lawrence County Classics Car Club. He frequented the store and campground near his home where many grew to love his quick wit, jolly laugh, and generous heart. 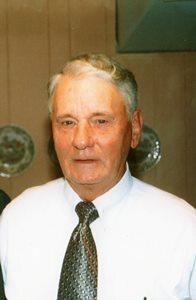 He leaves behind his wife, Carroll Sandy of 65 years; daughter, Teresa C. Garrett; son, William K. “Bill” Sandy, Jr. (Paula); granddaughters, Brandie Garrett Haberman (Matthew), Brittany King (Trey), Tiffany Granstaff (Justin), Cortany Kersey (CJ); 11 great-grandchildren; 2 great-great-grandchildren; numerous nephews, nieces, cousins, and friends. In lieu of flowers please take the love of your life to (a fish) dinner; a lot of time needs to be invested if you want a marriage to last 65 years. Arrangements are being handled by Neal Funeral Home, 231 N. Military Avenue, Lawrenceburg, Tennessee. The family will receive friends from 4:00 PM to 8:00 PM Thursday, April 04, 2019 and 10:00 AM to 2:00 PM Friday, April 05, 2019 at Neal Funeral Home. Funeral services will be conducted at Neal Funeral Home at 2:00 PM Friday, April 05, 2019, with Kyle Conner officiating. Interment will follow at Baugus Cemetery in Summertown, TN.